Your closest Scout shop is located at 1061 N Dobson Rd # 109, Mesa, AZ 85201 in the Riverview shopping and entertainment area at Dobson and the Red Mountain Loop 202 in north west Mesa. Check the map below for directions. 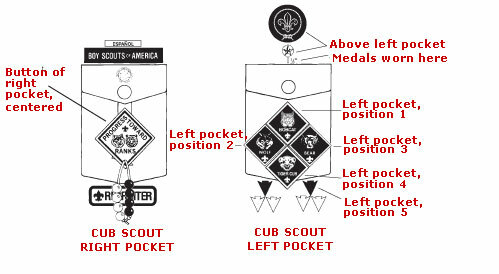 Patch placement on sleeves for all Scouts.